AA-ARCII White/Red | Alpine Products, Inc. 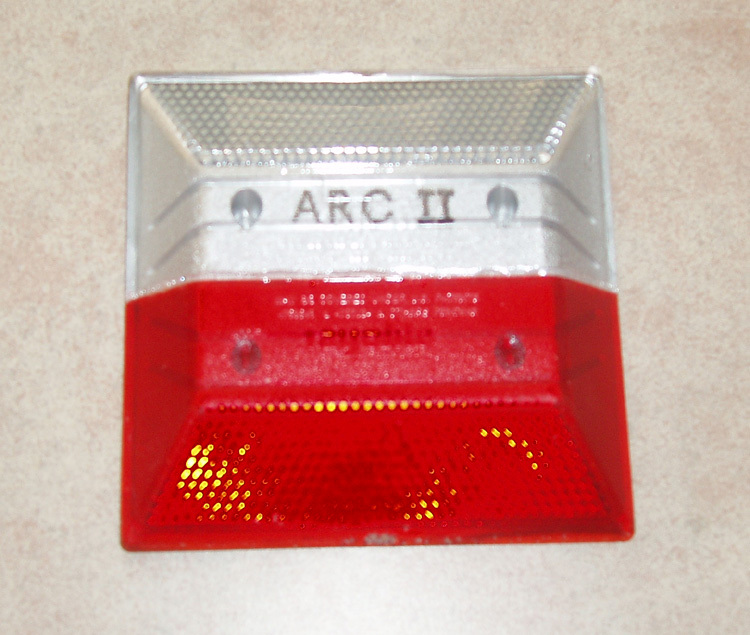 The ACR II is a long-life-type reflective pavement marker designed to offer maximum strength, high reflectivity and maximum life cycle. A rib and fish hook design makes for maximum adherence between the shell and fill material. A protective brow protects the top area of the lens from deterioration. An abrasion resistant coating is chemically bonded to lens surface to protect it from the grinding action of dirt, sand, and contact from traffic volume.